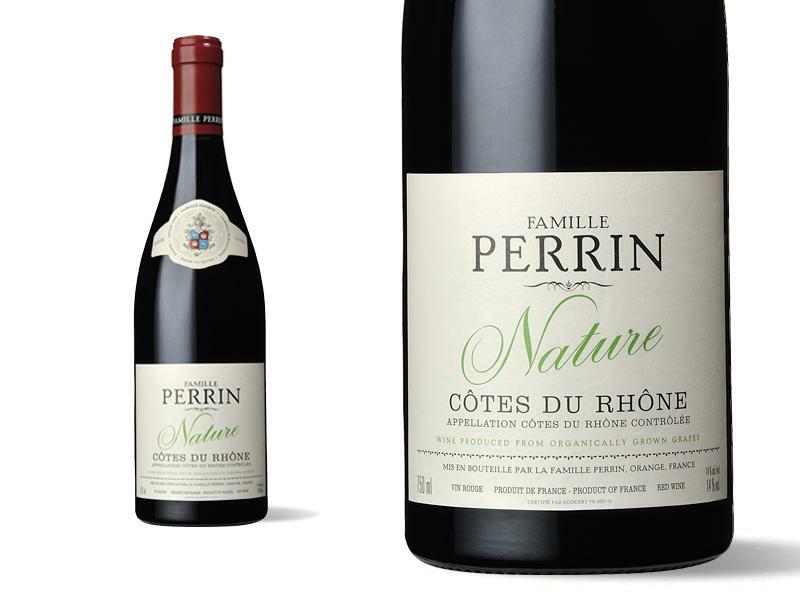 Certified organic by Ecocert, Perrin Nature is not only an organic Côtes-du-Rhône but also a great wine. Using our experience in organic farming at Beaucastel (one of the first big estates to turn to organic farming 40 years ago), this wine is a beautiful expression of fruit with delicate and soft tannins. This wine comes from a vineyard located between Valréas and Vaison la Romaine, north of Orange. The vineyard is planted in Grenache and Syrah. In our Famille Perrin cellar. Traditional vinification after destalking. Fermentation in stainless steel tanks with temperature regulation of 150 hl. Ageing in tanks and foudres (25%) for a year. This Côtes-du-Rhône 2016 is like a bowl of very dense and ripe black and red fruit. Notes of crushed strawberries, balanced by a beautiful freshness of spices from Provence and its Garrigues. On the palate, this wine is beautifully balanced in richness and freshness, a good structure with fine and elegant tannins. The finish is long and aromatic. "Très agréable au nez et en bouche, assez complexe."